One of the most common elements on applications (web or otherwise) is counters. YouTube, for instance, uses counters to see how many people have viewed a particular video. Facebook also does the same for videos on their platform. Most of the counters on these sites, however, only update the count when you have refreshed the page. This leaves a lot to be desired, as sometimes you just want to see the number increase in realtime. This gives you the impression that the item is being viewed by many people at the moment. In this article, we are going to explore how we can leverage the realtime nature of Pusher to create a counter that updates in realtime. We will be creating a video viewer iOS application with a realtime counter showing how many people have viewed the video. 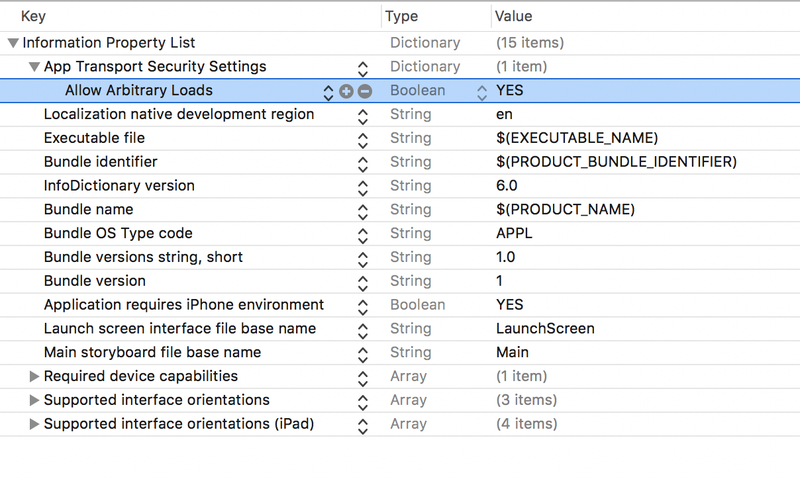 To follow along, you will need basic knowledge of Swift, Xcode and command line. You will also need to set up a Pusher account, and create an application. You can do so here. Now that the project is open, we will create some views for our application. Open the Main.storyboard file and in there we will create the views. We want to create a navigation controller that will have a ViewController as the root controller of the navigation controller. Then in the new view controller, we will add a webview; this is where we will be embedding the video we want people to view. We will also add two labels, one for the counter and the other will just be a plain immutable message. Now that we have created the application, we can now add the code that will interact with the views and add the realtime support and the video also. Create a new MainViewController class and link it to the view controller we created above. 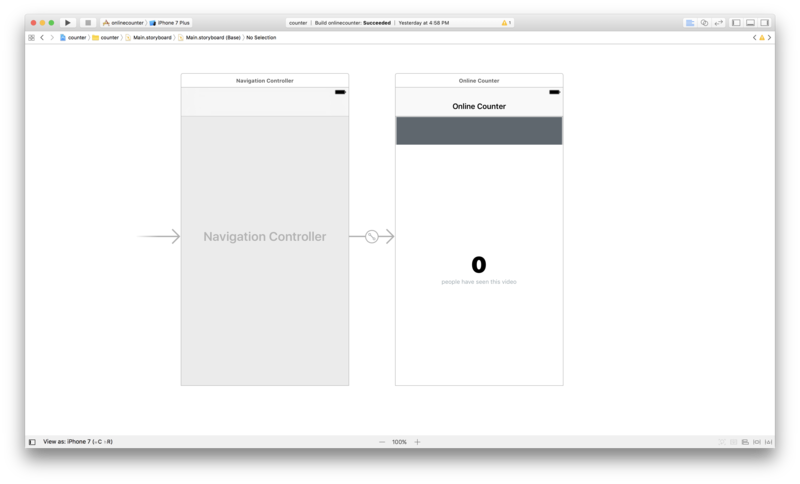 Then create a split view in Xcode and ctrl+drag from the webview to the view controller. This should create an @IBOutlet in the controller; do the same for the counter label so it creates another @IBOutlet. Our controller should now have two @IBOutlets one for the webview and one for the counter label. Great. let url: NSURL = NSURL(string: "https://www.youtube.com/embed/\(videoID)")! Now we have instructed the application to load a YouTube video automatically. However, the counter functionality does not yet work. Let's fix that. self.count.text = "\(viewCount)" as String! Now you can just call the updateViewCount from the viewDidLoad method so it is called when the view is loaded. var endpoint: String = "http://localhost:4000/update_counter"
If we load the application now, it would load the video but the counter will not work. This is because we have not yet set up a backend logic. For the backend, we will be creating a very basic Node.js application. This application will simply have one endpoint that saves the counter state and sends a trigger to Pusher so other listeners subscribed to the channel event can pick it up and update in realtime. Finally, create the counter.txt file in the same directory and chmod it to be writable. Now run npm install to install all the dependencies that node needs to make the backend application work. When the dependencies are done installing, run node index.js to start your application. Now, when you launch the application you can see the counter increase, and if there is another instance of the application, they can see the counter increase in realtime. Neat! In this article, we explored how you can create realtime counters using Pusher in your iOS applications. We are curious to see how you would incorporate this into your iOS application. If you have any other use cases you would like to see, or have any feedback, leave a comment below.